Selling online? Read our tutorials and ratings first! Using coupons on your website can mean at least two different things. It can either mean that you offer coupons on a page of your website, for example, the landing page, or that you offer coupons via email, a storefront, a newspaper, direct mail, social networks, blogs, or other means for customers to apply when they shop at your online store. Shopping carts may come with coupon functionality, or an extra coupon module can be built by a programmer. More and more information is becoming available to help etailers and webmasters with promotion decisions. 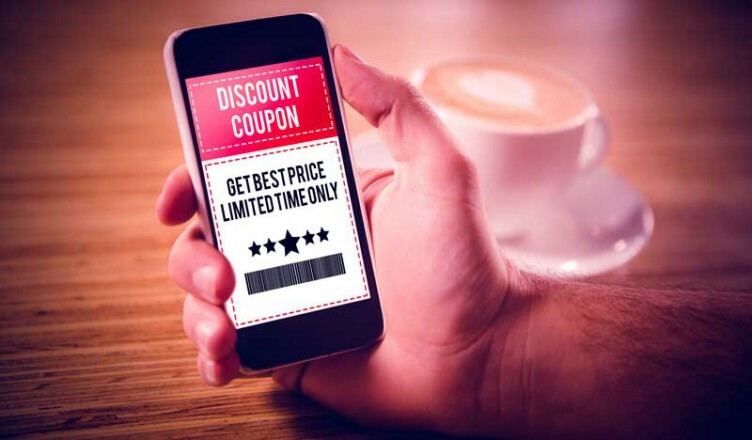 A Nielsen research report that examines customer response to print coupons versus online coupons has recently revealed that online coupons have more appeal, gaining significantly more attention and emotional engagement, and having slightly better memory retention, making online coupons more effective. But before offering a coupon promotion simply because you can, let alone investing in additional programming to be able to offer coupons, it’s important to think about the pros and cons. Customer loyalty can be increased by the inference that you’re offering a good deal. A coupon may entice a customer who otherwise wouldn’t have done any shopping to come to your site and make a purchase. A coupon may secure new customers. A coupon dependent on purchase or purchase of a certain amount may make a customer feel rewarded for making a purchase. Coupons can provide a sales surge when you need one, especially those with a very short validity period. Customers who do not use (all) the coupons you provide may still have a sense that your site is offering good deals: that is, you may be creating a good feeling, when you’re not selling at below asking price. People may buy things they wouldn’t have otherwise because a coupon is offered, increasing sales. Coupon offers can be structured to serve a variety of purposes: reward regular customers, loyalty program members, or previous big spenders; move a certain product; generally increase sales; encourage a certain demographic to shop; increase the size of orders, etc. Coupons can take a variety of approaches to offering savings, including a percentage discount, a buy-one-get-one-of-equal-or-lesser-value-free, or a certain stated amount off the total purchase or a particular item, for example. Coupon tracking using codes embedded in the coupon can provide data on coupons’ effectiveness, leading to more focused use of coupons in the future. Using Google Analytics or a similar service can help you analyze the results of your promotion. You earn less profit on a sale made with a coupon. Customers may become used to having coupons and refrain from making purchases until they get another discount code in their email, for example. Customers may be trading or sharing coupons and/or shopping for each other, so that more purchases are being made using coupons than one would predict, were coupons only used by the customer who received them. Customers may fill their carts and then wait until they receive a coupon to complete a purchase. Depending on how it is handled, the fact of offering coupons could potentially undercut the idea that the standard prices are fair and reasonable. Some people may feel that coupons are an indication that a product is of lower quality because really high-end products are generally not promoted with coupons. Too many short term coupons too often may create the impression that the company is foundering. Best Shopping Cart Reviews - Articles and Tutorials on all things shopping cart related.